Local UNT Fashion Design Graduate Launches Trendsetting Online Boutique Fort Worth, TX, December 15, 2016� The Chi Chi Boutique, an online clothing shop, is officially open for business. After graduating from the University of North Texas� Fashion Design program, owner Morgan Chaisson is taking the fashion world by storm. The boutique, which caters to fun and fearless, trendsetting romantics, grants shoppers unique access to complete looks and accessories. Chaisson personally shops for all her collections. Fashion is a statement. It tells the world who you are, and she takes that seriously. With the majority of ordering done strictly through social media, shoppers can purchase from the privacy of their home. With two ways to shop the limited quantity styles, shoppers have the choice to participate in weekly auctions by simply commenting on an item with a size and an email address, and receiving a PayPal invoice within 24 hours or buy in stock items directly through the Shop Now button. Chi Chi Boutique makes it that easy. The hottest trends can be just a few clicks away. Be sure to stay engaged and up to date with boutique events and pop-up shops around the metroplex. 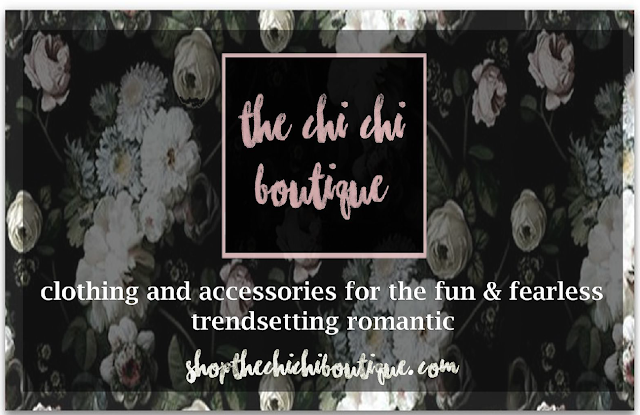 Check out The Chi Chi Boutique on Instagram or Facebook, and support local business in the trendiest way. If you would like more information about this topic, please contact Morgan Chaisson at The Chi Chi Boutique or email at Contact@ShopTheChiChiBoutique.com.